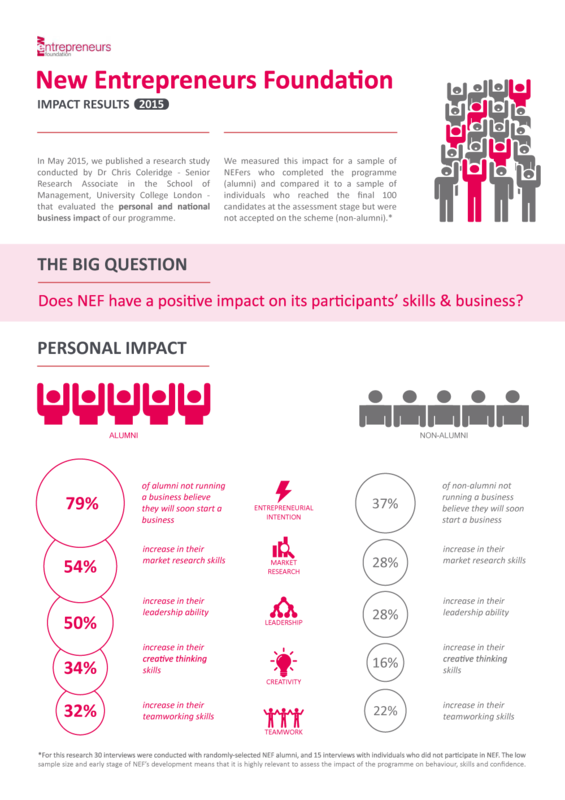 This infographic is based on a research study conducted by Dr Chris Coleridge that evaluated the personal and national business impact of the New Entrepreneurs Foundation programme. To watch the video click here. 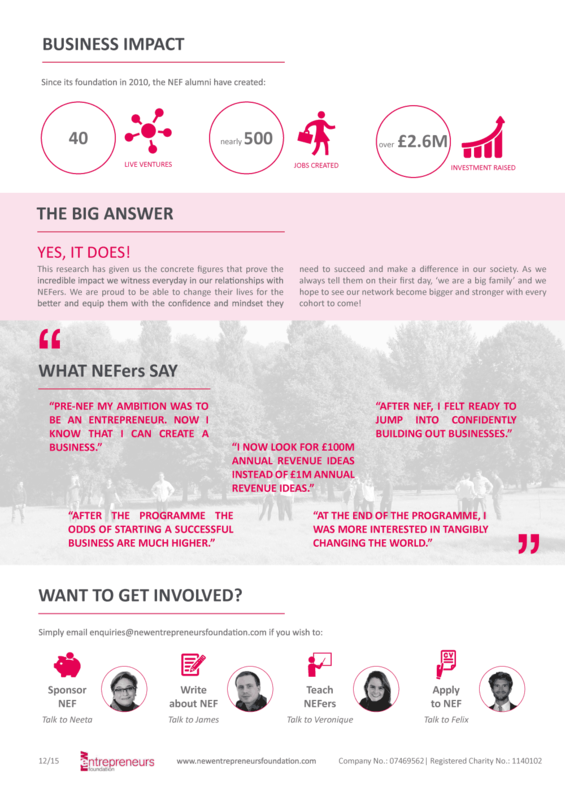 This research was summarised and graphic designed by Mihaela Gruia (@mihagruia) .